*CONDITION: Used with some use wear, schuff from the riders boots, some soil and weather wear (motorcycle was parked in a garage). 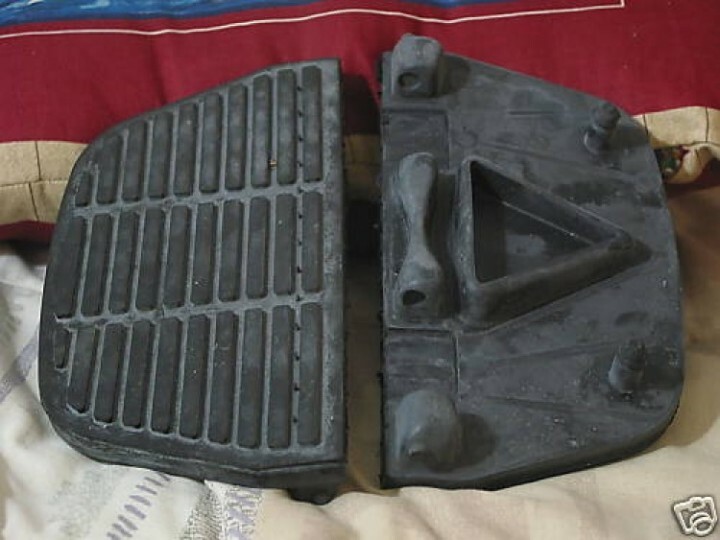 These footpads appear to be oxydised. I wiped it down but no affect. After the pads were dried off I rubbed the lite whitish areas with my finger and the areas I rubbed appeared to turn faded black again with the oxydation rubbed off. Had to rub really hard. No other major abnormalities were noticed upon inspection. The mounting knobs on the bottom appear to be in good condition. *Buyer is responsible for making sure these footboard pads will fit before the purchase and getting the white oxidation off or whatever the white tones are. *Buyer is responsible for any maintenance or repairs needed if any (White oxidation film on the pads).